Pop South continues its conversations with book authors. 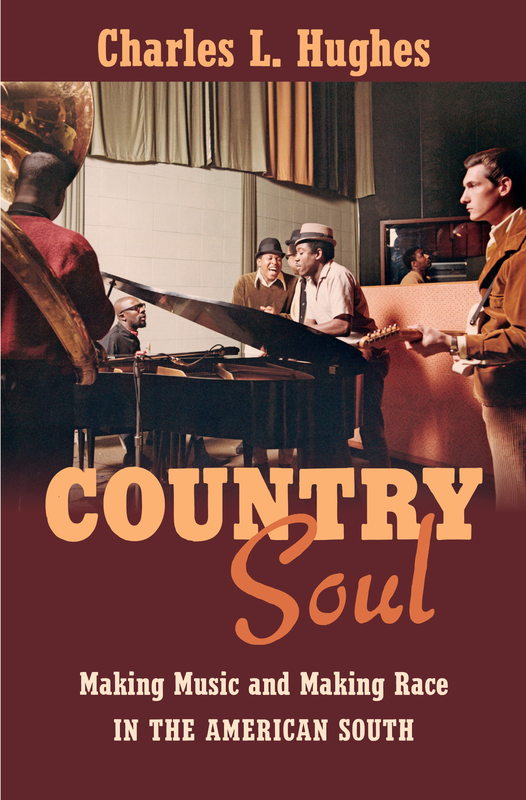 Today, our focus is on Charles L. Hughes new book Country Soul: Making Music and Making Race in the American South (UNC Press, 2015). 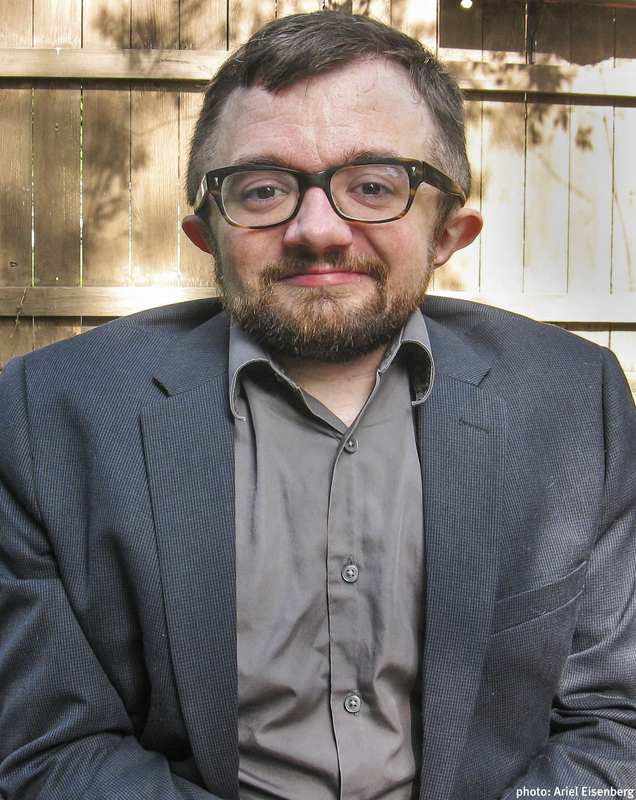 Dr. Hughes is a Director of the Memphis Center at Rhodes College in Memphis, Tennessee. PS: The main title of your book “Country Soul” comes from the term “country-soul triangle,” which you use in your book. Where did that phrase come from, and why is it so appropriate? CH: I developed the term “country-soul triangle” to refer to a network of recording studios in Memphis and Nashville, Tennessee, and Muscle Shoals, Alabama. At legendary places like FAME and Stax, black and white musicians produced a wealth of classic recordings in the 1960s and 1970s. Each city had its own successful scene, of course, but I’m interested in exploring the many connections between them—sounds and players traveled back and forth between these three cities, leading the triangle to become a center of the era’s music industry and turning each city’s signature “sound” into an internationally-recognized symbol of quality. Musicians in the triangle recorded with a wide variety of artists, but they were most associated with country, soul, and their stylistic blends. So it felt appropriate to term it the country-soul triangle. PS: Who are some of the prominent artists who recorded in the country-soul triangle that you talk about in the book? CH: The list of artists who recorded in Memphis, Muscle Shoals, and Nashville during this period is truly overwhelming. Even in a book like this, I could only scratch the surface. Still, I tried to discuss as many performers as possible. I talk about soul stars from Aretha Franklin to the Staple Singers to Joe Tex; country artists including Willie Nelson, Charley Pride, and Dolly Parton; and pop and rock artists ranging from the Osmonds to the Rolling Stones to Dusty Springfield. The artists who recorded hits in the country-soul triangle—whether homegrown artists or visiting stars—form a constellation that demonstrates just how significant Memphis, Muscle Shoals, and Nashville were to the era’s popular music. It’s really exciting to spotlight them in the book. PS: Although you talk about many of the famous artists who recorded in the triangle, you focus primarily on the behind-the-scenes musicians at these studios. Why did you choose this approach? CH: These musicians were the most important reason for the triangle’s success in so many genres. Their versatility and efficiency made them some of the most in-demand players of their era, and they established Memphis, Muscle Shoals, and Nashville as places where a wide variety of artists could go to cut successful records. They were also central to the way that country and soul developed artistically and culturally—not only did they develop the actual music, but they established the genres as symbols of race and politics in the 1960s and 1970s. Relatedly, they also dealt with racial politics on the most concrete level, thanks to their ongoing collaborations in the studio. Whether they were well known (like Stax’s Booker T. and the MGs) or less famous (like the FAME Gang in Muscle Shoals), the musicians dealt with the complex realities of racialized sound and an interracial workplace on a day-to-day basis. The results weren’t always positive, and certainly weren’t always equitable, but they were pivotal to understanding their larger historical importance. For that reason, I found them to be the most illuminating people to anchor my discussions. PS: Many readers of Country Soul will be familiar with the 2013 documentary Muscle Shoals. What is your own personal response to the film? What do you think it got right, and what else would you like fans of the movie to know? CH: I really enjoyed Muscle Shoals, and I was particularly happy to see the Shoals musicians get their due credit for their significant role in shaping American popular music of the last 50 years. To see and hear them discuss their achievements, along with so many of the artists they worked with and influenced, was a welcome confirmation of their importance and a wonderful tribute to their accomplishments. On top of that, the film was filled with great footage and sounds, so—as a fan of the music—I was thrilled to watch it. At the same time, Muscle Shoals also reflects a common simplified narrative, particularly in terms of race, that I’m trying to complicate with the book. It presents the Shoals studios (particularly in the early days) as something of a utopia where race wasn’t an issue, but I discuss numerous racial conflicts and more broadly demonstrate that race was a central concern of the musicians working in the Shoals. Additionally, the film focuses largely on white men—most prominently FAME Studios founder Rick Hall—while marginalizing the accomplishments (and criticisms) of the many black artists who participated as both studio musicians and performers. (For that matter, many of the important white contributors got minimized too.) As I discuss in Country Soul, this reflects a larger tendency to credit white people as the visionary heroes and treat African Americans as passive or secondary participants. I not only discuss the historical roots of this narrative, but address its continuing implications. PS: How did you get interested in this topic? CH: I came to this story through the music. Country, soul, and their hybrids have long been among my deepest musical loves. From Dolly Parton and Charlie Rich to Otis Redding and the Staple Singers, I’ve realized that many of my favorite artists and recordings are products of the country-soul triangle. I also grew interested in the musicians and songwriters working behind-the-scenes, people like George Jackson, Dan Penn, and the Muscle Shoals Rhythm Section, who helped create so many great records, in so many different genres. As a historian of race and the South, I became fascinated by the existence of these interracial collaborations that existed in the heart of racial turmoil. I wanted to explore the story of how this occurred and try to illustrate these musicians’ importance to the broader story of race in the United States. If you’re interested in hearing some of the music Dr. Hughes discusses in his book, he’s put together a playlist on Spotify. Click playlist. He’s also created a playlist on YouTube.